Nizhniy Novgorod (Russia) (AFP) – South Korea’s clash against Sweden is a must-win game if either team wants to qualify for the knockout stage of the World Cup, coach Shin Tae-yong admitted on Sunday. Ratcheting up the pressure before the Group F clash in Nizhny Novgorod, Shin Tae-yong said both sides had to target three points. “For tomorrow’s match, I think that we the Koreans and also for the Swedes, it’s a match that must be won,” he said. The Koreans and Swedes have been drawn against Germany, the reigning world champions, and Mexico, who have never failed to get out of the group stage at a World Cup. 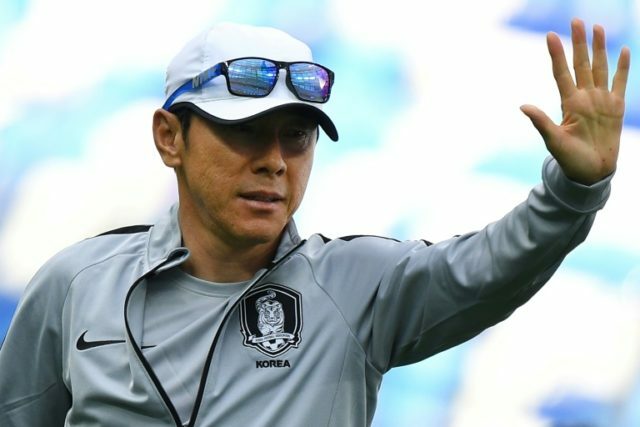 Despite it being his first World Cup, the 49-year-old said he was relaxed, despite growing expectations in South Korea as the tournament approaches. Shin Tae-yong took over as coach last year from German World Cup winner Uli Stielike as the country’s qualification attempt for Russia teetered towards failure. They eventually qualified but in far from impressive fashion. Despite that, Shin Tae-yong says he is convinced fans will get behind his team, even though South Koreans are expecting to be vastly outnumbered in the stadium, with only 1,500 supporters expected to travel to Russia. Captain Ki Sung-yeung, who will be playing in his third World Cup, said he was “very excited”. “I hope that we will have good results,” he said. Meanwhile, Sweden’s captain Andreas Granqvist revealed the teams have been helped by sports counsellors in the run-up to the tournament. “We are better prepared now than for previous tournaments,” he said.